Children’s Health System is one of the largest construction projects in Alabama’s recent history. 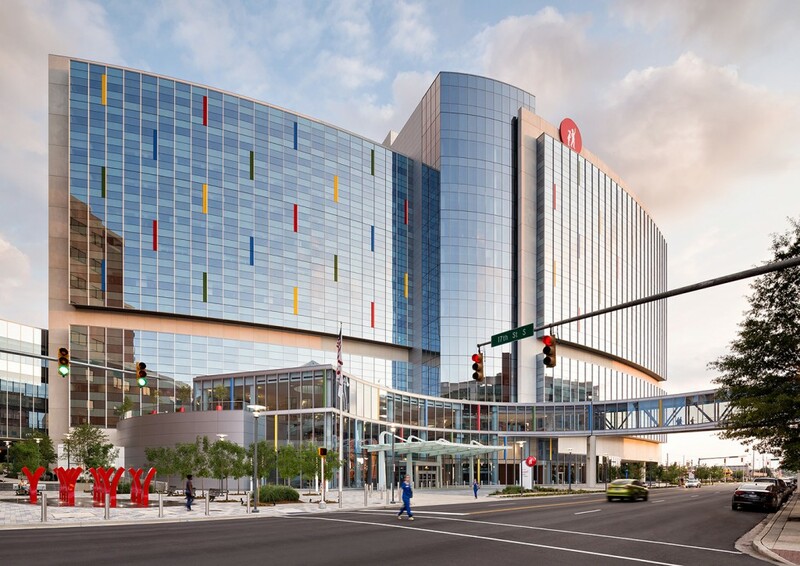 The 700,000+ sf hospital building is located directly across the street from the existing Children’s Hospital. The two buildings work together, connected by bridges, to provide comprehensive pediatric medical care for the region. GA Studio was instrumental in planning for this project, including early programming, site selection, site design, and construction documents for the exterior skin and four bridge elements. GA Studio partnered with HKS, Inc. on the new 12-story facility with 232 pediatric beds for emergency, diagnostic, treatment and inpatient services. Read the article in Healthcare Design magazine here.